Preparation time: 5 minutes. Chilling time: 2 hours. Wash and dry parsley, then remove stems and any discolored leaves. Chop parsley to make about 2 cups, and set aside. 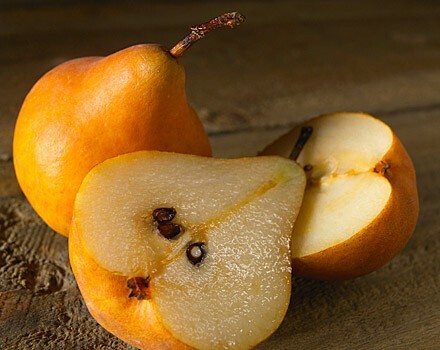 Cut the pear in half and remove core with a melon baller. Leaving the skin on, cut pear into half-inch dice. Combine parsley, pear, walnuts, cheese, cranberries, and grapes in a medium salad bowl. Add dressing, and toss. Chill for 2 hours prior to serving for best flavor. Exchanges per serving: 1/2 starch, 1 medium-fat meat, 1 fat. Carbohydrate choices: 1/2.